The team has been among the bottom-feeders of the NBA’s Eastern Conference for the past several years, meaning each year they receive a high-level draft pick. However, it’s been difficult to “trust the process” when the process continues to lead to losing seasons and those draft picks have trouble establishing themselves in the league. So instead, a local high school basketball team is putting its own spin on the “trust the process” motto: to build off an unprecedented string of success for a still-growing program. The Msgr. 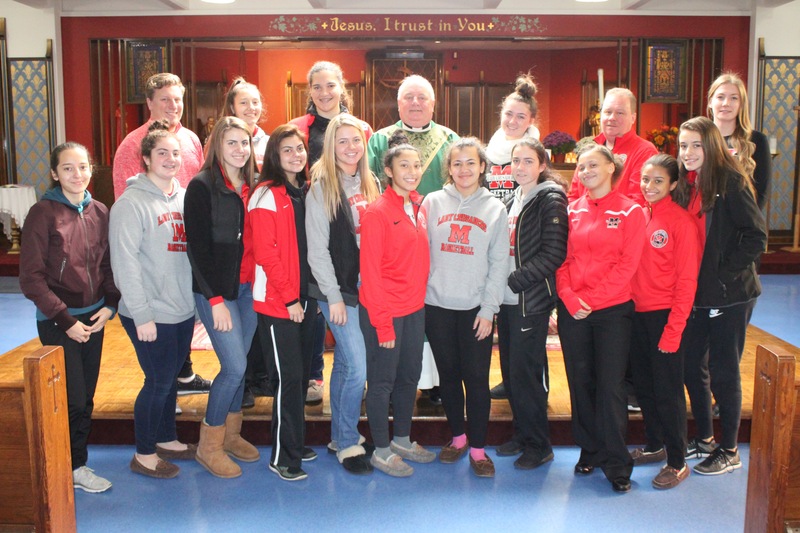 McClancy H.S., East Elmhurst, girls’ varsity basketball team enters the 2016-2017 hoops campaign as the defending GCHSAA Division II state champions. The team accomplished the feat in just its fourth season in program history and its first-ever season with seniors on the roster. While the history the Lady Crusaders achieved last year won’t soon be forgotten, the team already has its sights set on the upcoming season, which opens in early December. Leadership will be key this year, as McClancy lost seven seniors, five of whom are now playing college basketball, including Taylor Aybar and Kenia Garcia at SUNY Polytechnic Institute, Utica, N.Y.; Melissa Perez and Ashley Martin at the College of New Rochelle, N.Y.; and Gina Hopkins at St. Joseph’s College Brooklyn. Hopkins said he is looking for senior forward and four-year varsity player Kaitlyn Stenz as well as junior forward Kristina Krslovic and junior guard Rhona McCaughey to be this year’s leaders. Krslovic and McCaughey played on varsity as sophomores last year to mold them into a leadership role. The team is well aware as the season begins that it has a target on its back and everyone will be out to upset the defending state champs. Beating the mighty McClancy could be the sole highlight of another team’s entire season. And what exactly will it take to do so? Trusting the process, of course. The conditioning, hard work and dedication the players exhibit now will undoubtedly pay off come playoff time. So don’t be confused by the 76ers’ version of “Trust the Process” when comparing it to the Lady Crusaders. Because unlike the NBA team, the McClancy girls are trusting a process of stuff that has already worked.